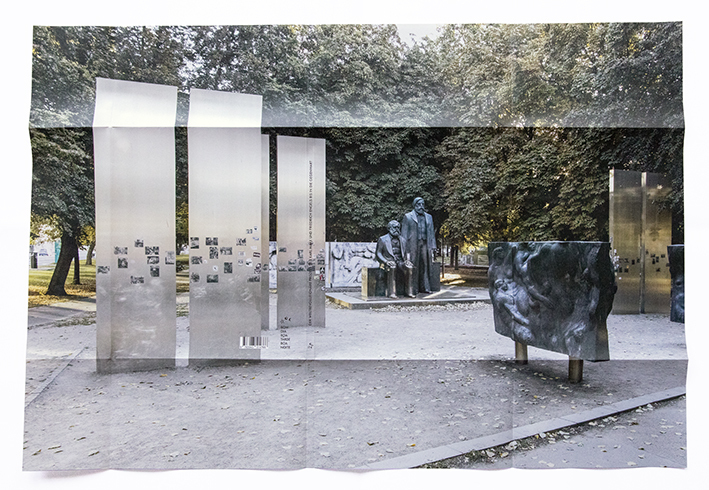 In 1986, four double-stelae were erected in Berlin as a part of the Marx-Engels-Forum, wich display 144 photographs, showing the development of the working class. 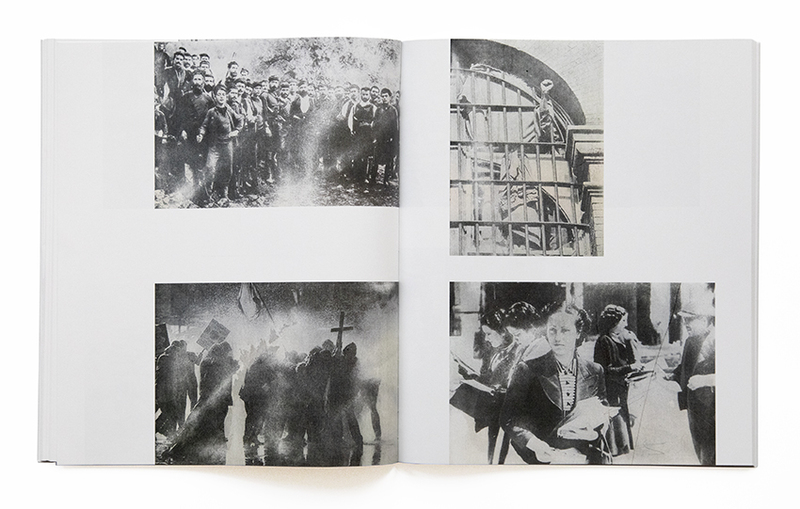 Comissioned by the state, filmmaker Peter Voigt and photographer Arno Fischer developed a formal translation for Marx's and Engel's philosophy of history. 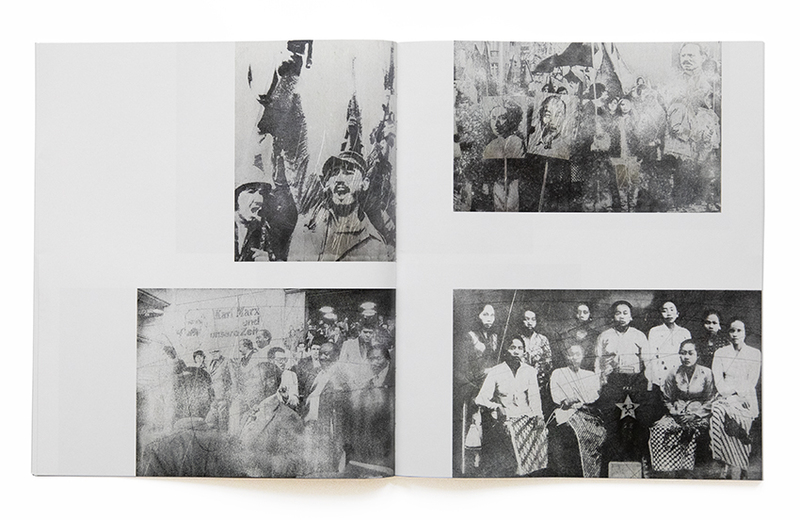 In line with their documentational focus, the two artists were concerned with demonstrating the historical situation of the international working class, its grief, and its overcoming. 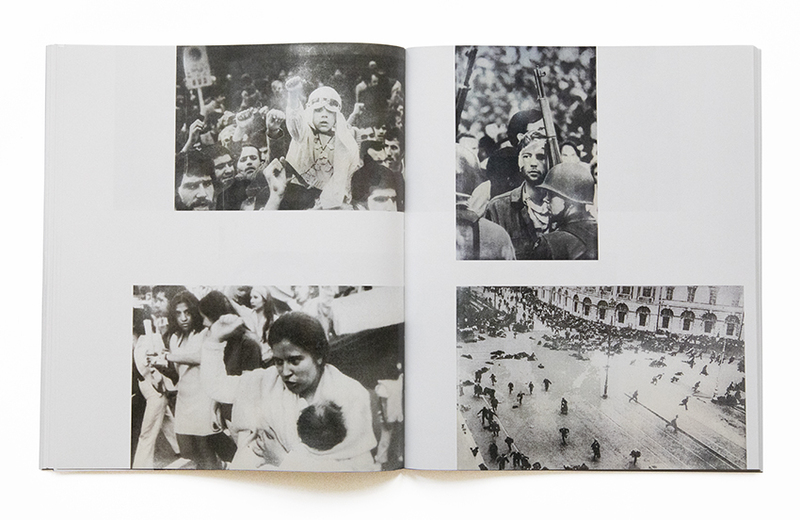 The photographs, compiled from archives wordwide, constitude the foundation of the project. 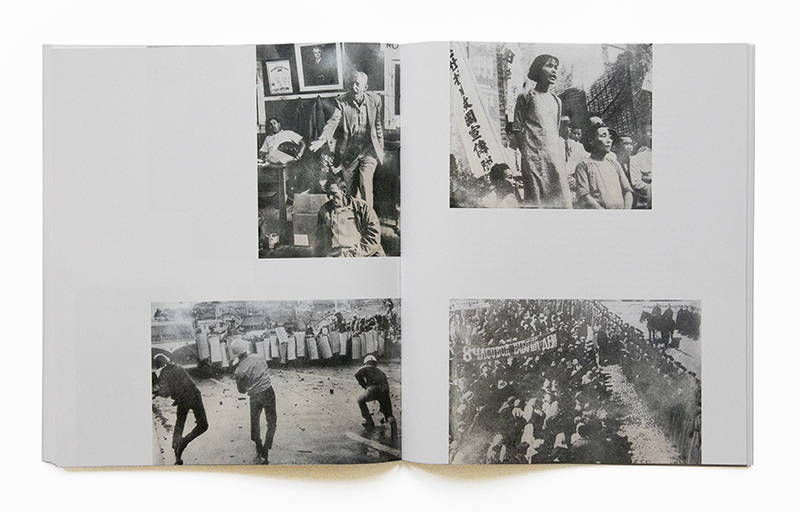 The chosen motifs, respond to historical events as well as figures, depict everyday life and illustrate "circumstances". 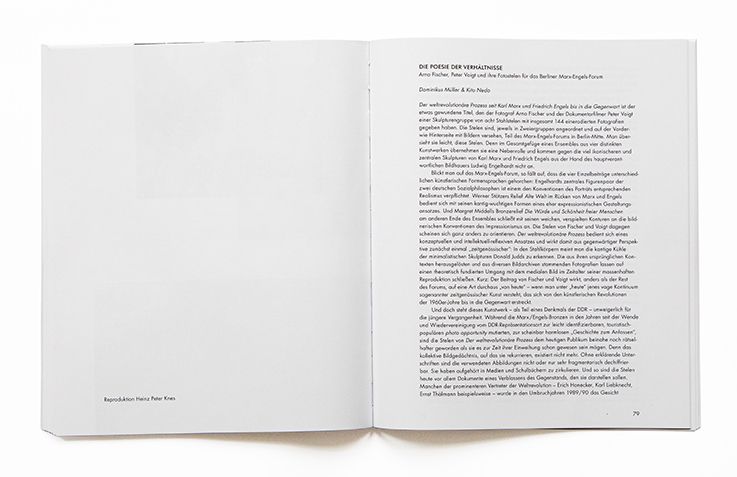 For the publication, Heinz Peter Knes and Dominikus Müller reconstructed the development of the photo stelae by conductiong interviews with witnesses and researching archival material. Dominikus Müller and Kito Nedo transferred the research into a text. Heinz Peter Knes reproduced all 144 photographs eroded on the stelae in their current condition, including their wear and tear. This is a book about temporality and the representation of a social condition.